- This site provides a number of tools to use to see how any web page is rendered by various browsers. It also has links to other useful tools and enhancements. - An open directory project used in my course CPSC470G - Providing Interactive Web Services, at Mary Washington College. 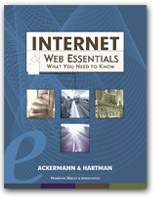 The directory contains links to resources and information pertinent to providing Web services. - " This page contains tools, services, programs and other stuf which can be useful for anyone building a homepage or website." - "Free news headline, marketing articles, financial content, sports tickers, stock tickers, news tickers, jokes, cartoons, weather, games and many other free web site add-ons and tools"
- A long-standing source for CGI and C++ scripts. Useful if you have access to a Web server that allows you to install and run your own cgi-bin type preograms. - From thefreecountry.com. One of several pages with free resources, articles, and advice. "ABOUT THIS PAGE This is a general catch-all page of webmaster and web designer resources and tools that could not fit into our other pages on this site. In general, you should look at the specific category page for the tool you want and only scan this page if you could not find a page for it. " - A collection of resources for people constructing Web sites - ClipArt, Programming, Graphics & Audio, HTML, Site management, Promotion, and so on.